Vadnagar is a city and a municipality in Mehsana district in the Indian state of Gujarat. It is the birthplace of Narendra Modi, the 14th and current Prime Minister of India. 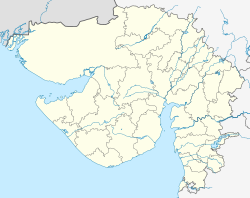 Vadnagar (Gujarati: વડનગર) is a city and a municipality in Mehsana district in the Indian state of Gujarat. It is the birthplace of Narendra Modi, the 14th and current Prime Minister of India.